Double deep pallet racks increase the productive use of floor space at a low initial cost, thereby providing good selectivity and improved density. Double deep racks are ideal for high throughput operations and offer efficient use of available storage space, providing twice as much storage, in the same amount of floor space, as selective pallet racks. Double deep pallet racks are created by placing one row of selective pallet racking directly behind another, creating a single, double deep row, accessed from a single aisle. This allows the potential for double rows of double deep pallet racks with access from each side, providing further space saving benefits. 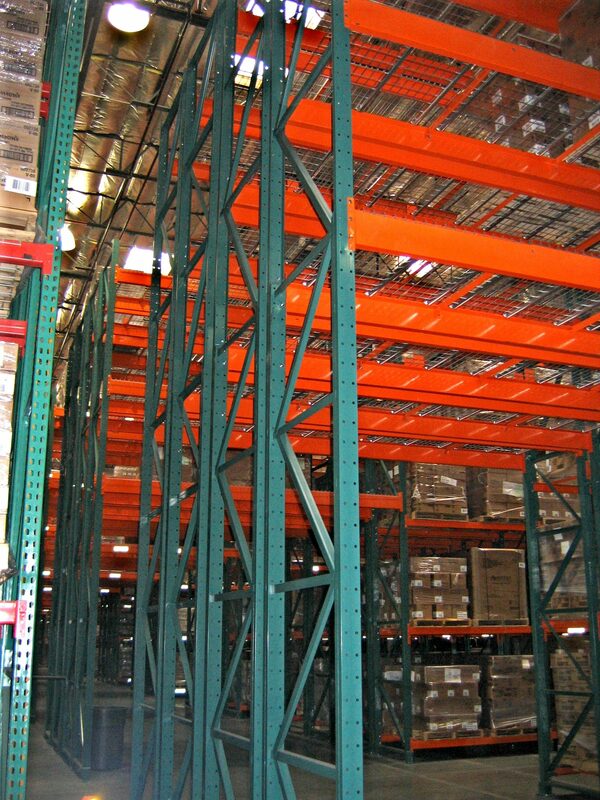 Double deep pallet racking systems are utilized in conjunction with reach-trucks to access the rear placed pallets. Call us today at (866) 266-2244 and we can help you design the best storage systems for your operation.